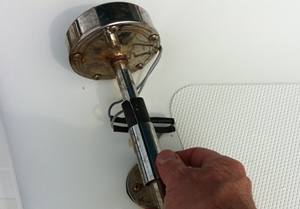 How come the stainless rails on my trawler keep rusting, and what can I do about it? Over the Labor Day weekend, I ran into an old buddy who had recently acquired a mid-eighties vintage 36 ft. trawler. 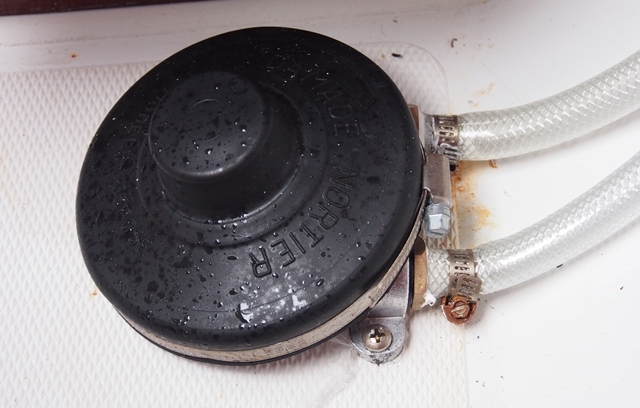 His question brings up a fairly common problem on a lot of boats both power and sail. How come the stainless steel rails on my trawler keep rusting? I didn’t think stainless steel was supposed to rust. Is there anything I can do about this? It looks awful. Stainless steel relies on a process known as “passivation” to prevent it from rusting. Passivation is achieved by an oxide coating that forms on the surface of the metal and seals it so that further degradation won’t occur. Above the waterline this process occurs naturally because as the name oxide implies, oxygen plays a part here, and the atmosphere certainly has plenty of that! However, it’s important to realize that this protective oxide coating is quite thin and can wear off. Further, in the case where rails are rusting only in close proximity to welded joints, we have another problem called intergranular corrosion. 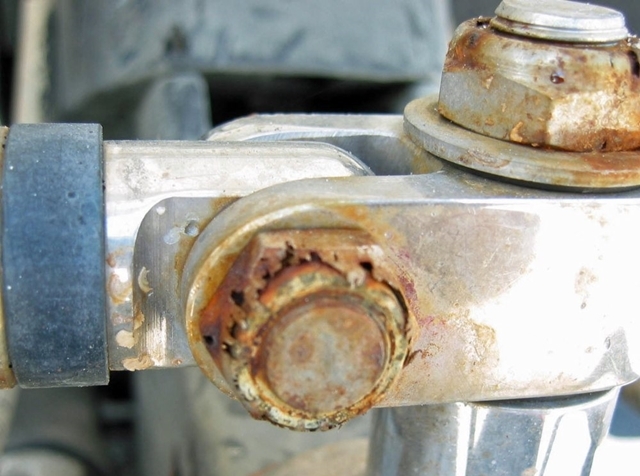 Intergranular corrosion occurs due to a change in the metal’s chemistry during welding. Stainless steel is an alloy and one of the constituent metals is chromium, which is one of the components in the metal that helps the passivation process. During welding, the area near the weld joint gets converted into chromium carbide due to the excess heat. 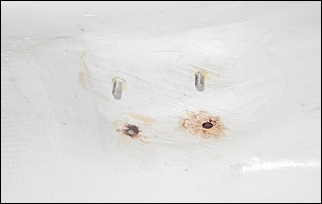 This heat-generated alteration of the metal’s chemical make-up creates a galvanic couple with the well protected metal nearby which leads to corrosion of the metal near the welds. Wichinox cleans and passivates rusty stainless steel railings. Really high-end boat builders go to great lengths to clean, polish and pacify all of their stainless hardware and railing before boats leave the shop. Some of the Taiwan built trawlers during the eighties did not, and the rust my buddy is seeing is all too common on those boats. When stainless steel gets passified at a boat builder, the metal actually gets washed in a heated phosphate solution as a final treatment. 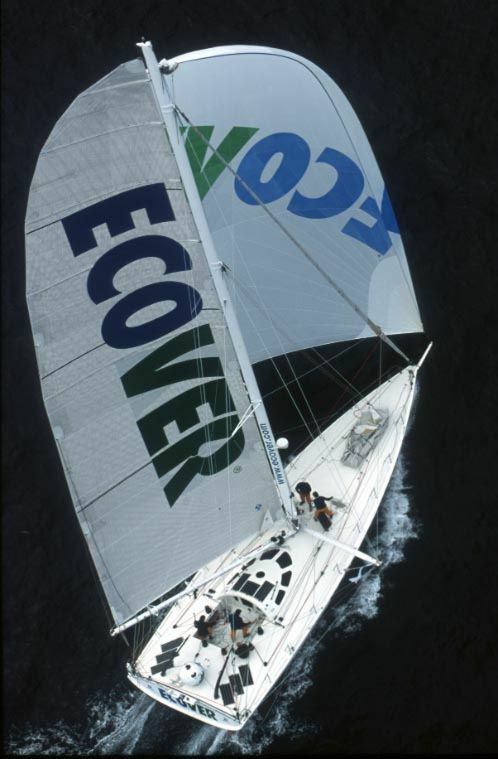 This wash cleans microscopic particulates out of the metal and leaves a perfect surface for the above mentioned oxide layer to form, mitigating the rust my friend is seeing on his boat. Wichinox is a paste that contains phosphoric acid that will as closely as you can get in the field, duplicate this process. Just paint some on the affected area and let it sit for 15 or 20 minutes. Wash it off with a liberal dose of fresh water. In extreme cases you may need several applications to get things back to shiny metal. Also Wichard has recently introduced a new, biodegradable stainless steel and aluminum cleaner called “GreenOX” which I have not tried yet, but if used after a Wichinox treatment, it is supposed to extend even further the protection of the stainless hardware from rusting; probably worth a try. 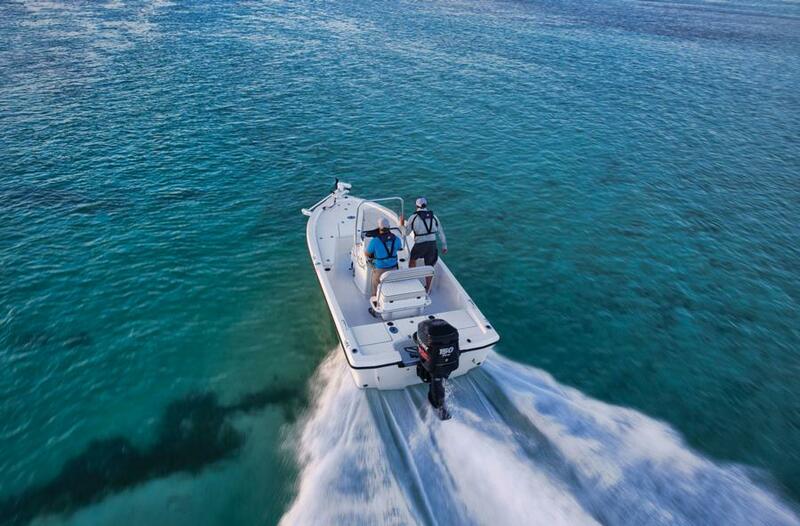 Wichinox is available at all the major online vendors and most marine chandleries that sell sailboat hardware also carry it. In the United States, a tube cost about $20. Rusty Stanchion Fasteners? Not Good. How Come My Hose Clamp Is Rusty?